We managed to organise 3 different events, have a look below to know more about them. The media was also really interested in talking with Dr Mojica, please use this links to read the full story. 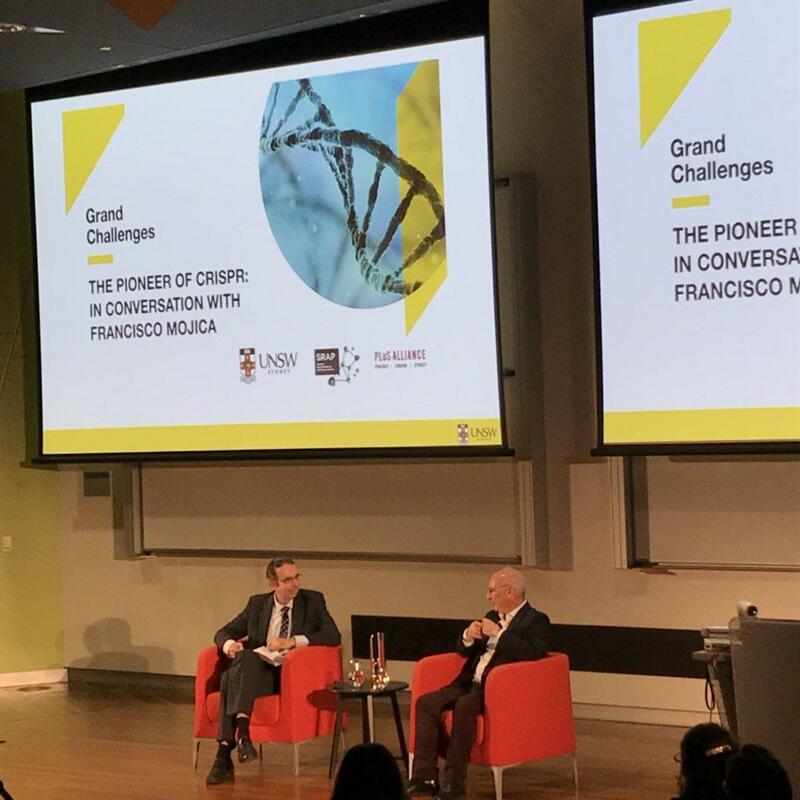 Dr Francisco Mojica is a celebrated Spanish microbiologist who discovered and named CRISPR, a family of DNA sequences in bacteria and archaea. 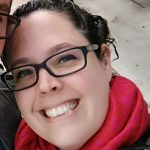 CRISPR and its development for gene editing rank among the most important scientific discoveries of this century, with powerful potential applications in everything from medicine to agriculture. 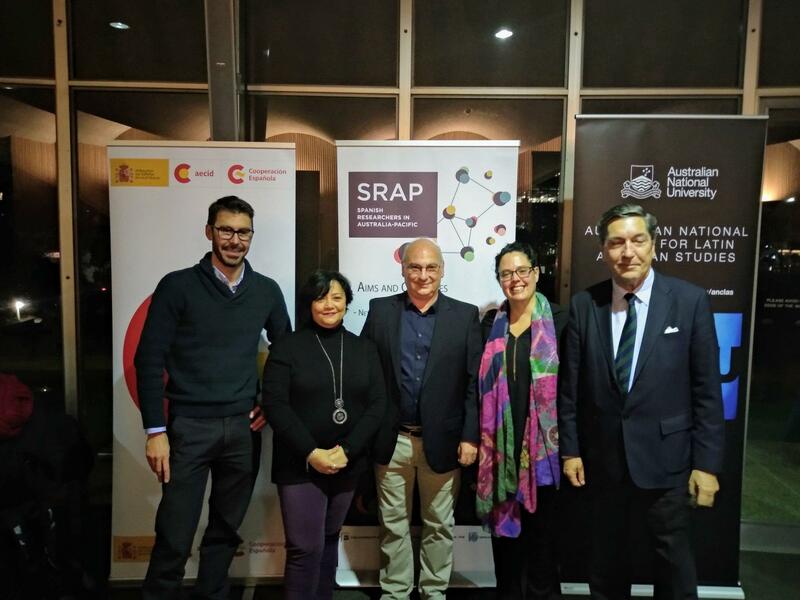 Dr Mojica is a leader in Microbiology at the University of Alicante in Spain. His cutting-edge research has garnered global media attention and earned him a string of prestigious awards, including the Albany Medical Center Prize in Medicine and Biomedical Research, the Rey Jaime I Basic Research Prize, and the BBVA Foundation Frontiers of Knowledge Award in Biomedicine. Francisco Mojica was awarded the PLuS Alliance Prize for Global Innovation in 2017. The 12th of June in collaboration with University of New South Wales and PluS Alliance, Dr Francisco Mojica was in conversation with Merlin Crossley, Professor of Molecular Biology and Deputy Vice-Chancellor (Academic) at UNSW Sydney. 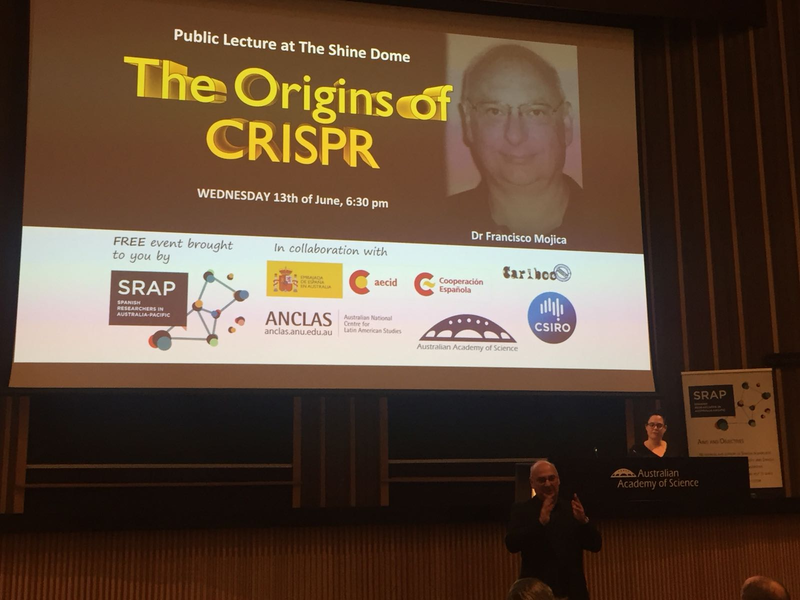 More than 340 people (of 800 interested) joined these two scientific luminaries as they explored the history of CRISPR, from Mojica’s ground-breaking discovery to the genome-editing technique that could potentially cure diseases like sickle cell anaemia, muscular dystrophy, and HIV. At the end of the talk a cue of students were awaiting for Dr Mojica’s autographs #ScienceRocks. 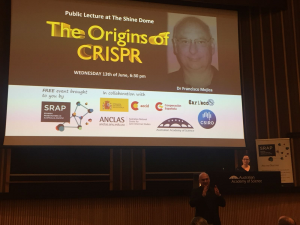 The 13th of June, in collaboration with CSIRO, ANCLAS, the Australian Academy of Sciences and Cariboo Design, Dr Mojica gave a public lecture about the origins of CRISPR at the iconic Shine Dome building in Canberra. 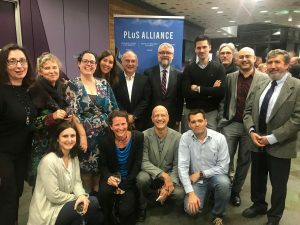 More that 160 people attended this event and the previous networking drinks and nibbles. Again it was just amazing seeing that many people interested in talking with Dr Mojica. 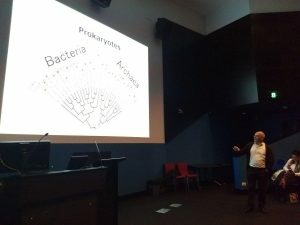 It is not everyday that you have the opportunity of talking with the man whose study has led to one of the biggest scientific breakthroughs of the 21st century. 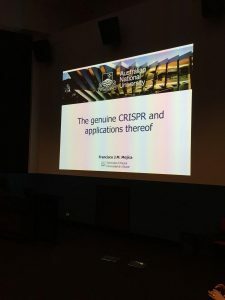 The 14th of June, in collaboration with the John Curtin School of Medical Research at the ANU, Dr Mojica gave a special School seminar at the Finkel Lecture Theatre with a full house.